Designed for those tough jobs in the middle of winter. 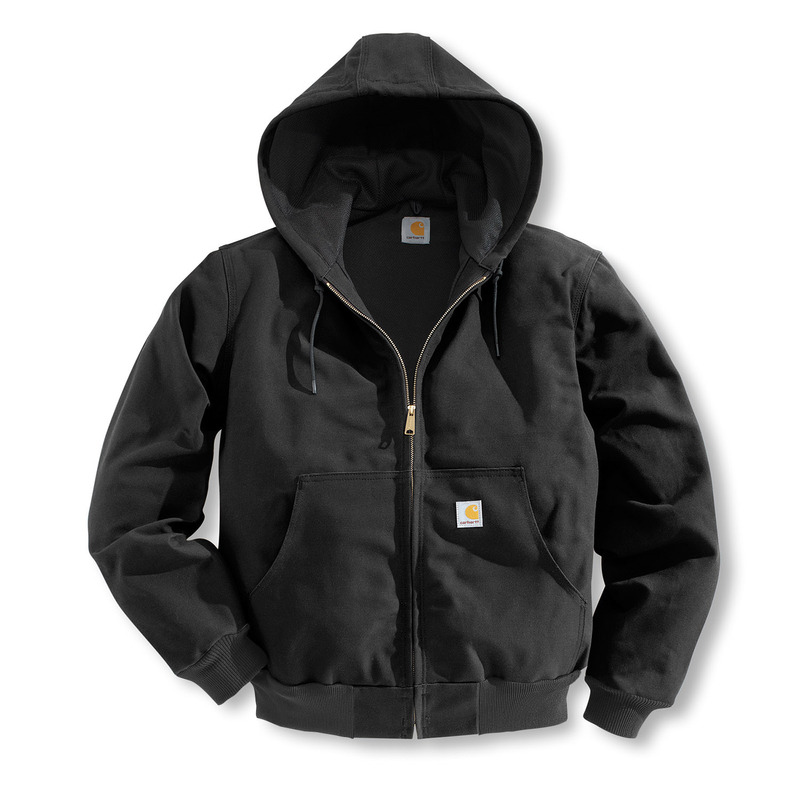 Carhartt's Thermal Lined Duck Active Jacket is built with a heavyweight ringspun cotton exterior and thermal lining for insulation. My husband is 6ft2in with long arms. I always have a hard time finding jackets that fit him. I wasn't sure if this jacket would work out but I ordered it anyway. I'm so glad I did! The fit was great and the price was reasonable. The jacket is made very well so no worries if it will hold up to his wear. Definitely ordering the quilted version of this too! The jacket I received is much better than I expected. The jacket has excellent durability and the waist band and jacket cuffs provide for a good fit. It is very warm, but also light weight. It was worth my money. NOTE: If your chest and/or waist measurement falls between sizes, buy the larger size.